Household gadgets are increasingly better at responding to your voice. Smartphones respond to voice-activated commands, and IoT (Internet of Things) devices like Amazon Echo and Google Home create more opportunities for verbal instructions. But what about privacy? Could someone record what you're asking your device to search for and exploit it? ECE ILLINOIS researchers working at the Coordinated Science Lab have designed a sound that is completely inaudible to humans, yet is audible to any microphone. It's a kind of white noise that doesn't compete with your speech, but can help shield your sounds from microphones. 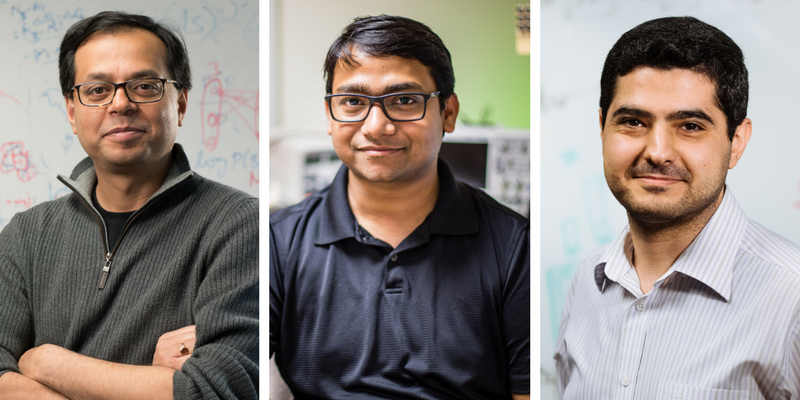 Romit Roy Choudhury, Nirupam Roy, and Haitham Hassanieh won the Best Paper Award at MobiSys 2017 for their work. The new sounds, created by Roy and Professors Romit Roy Choudhury and Haitham Al-Hassanieh, combines multiple tones. When interacting with a microphone’s mechanics, these tones create a "shadow" or is a sound that the microphones can detect, but remains outside of human hearing (40 kHz or above). According to the researchers, military and government officials could secure private and confidential meetings from electronic eavesdropping or cinemas and concerts could prevent unauthorized recording of movies and live performances. The signal can also be used to send communication between Internet of Things (IoT) devices, such as an Amazon Echo or Google Home, which would reduce the growing load on Bluetooth. Like all techniques, inaudible sounds can be used in different ways, but “with this knowledge of how it can be used negatively, we can develop strategies to prevent it,” said Roy Choudhury. The sound’s frequency is designed by the researchers and transmitted from ultrasonic speakers, but the microphone—the receiver of the signal—is not altered in anyway. Off-the-shelf microphones will react in the same way to the signal. The research team's paper, "BackDoor: Making Microphones Hear Inaudible Sounds," won the Best Paper Award at MobiSys2017. 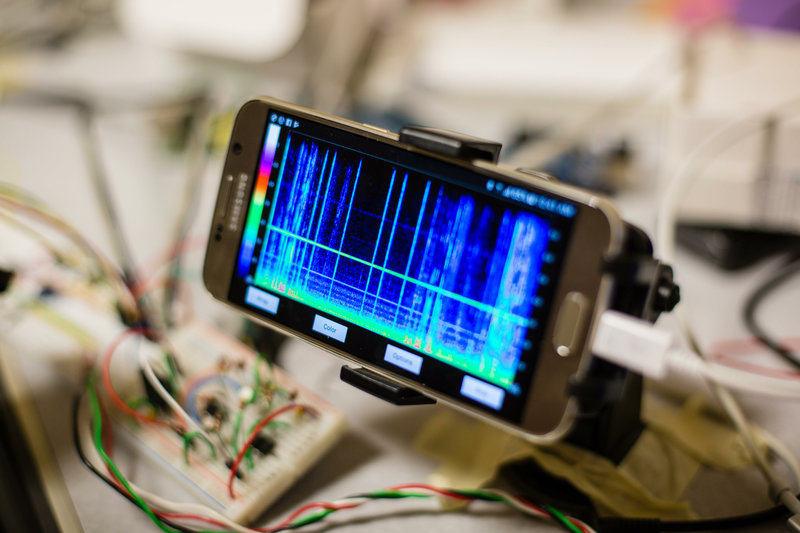 Roy and Romit Choudhury have collaborated on related research topics before, including exploiting a smartphone's vibration motor to listen to speech.